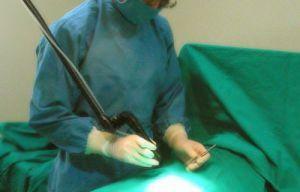 What is Required to Prove a Malpractice Case in Maryland? What is Required to Prove a Medical Malpractice Case in Maryland? To prove health care provider mistake case in Maryland, the victim must prove that it is more probable than not that the medication or treatment caused injury. In other words, the plaintiff must prove that there was more than a 50% likelihood that the injury was caused by medical malpractice. For example, in a case involving medical negligence for a misdiagnosis, if there was less than a 50% chance that an earlier misdiagnosis caused the injury, this is not medical malpractice in Maryland. This "loss of chance" doctrine also applies to medical malpractice cases in Maryland in which the claimed malpractice lessened the effectiveness of treatment or increased the risk of an unfavorable outcoe to the malpractice victim. This may strike you as unfair. If a wrongful death occurring from medical malpractice results in the victim not discovering a condition and there is a 49% chance the victim would have survived but for the delayed diagnois, you would think that justice mandates compensation. How much would the victim have paid to have that 49% chance back? The answer would be absolutely every penny the malpractice victim has. But Maryland law does not, regrettably, permit recovery of damages based on a possibility of less than 50.1%. Specifically, the Maryland Court of Appeals has consistantly held that a medical doctor serving as an expert witness must base his or her opinion on "reasonable probability or reasonable certainty" and not on "mere possibilities."